According to the Evaluation Research Australia outcomes the results for CIE, and LES and Deakin in general, can be classified as a huge success! This is a great opportunity to thank all CIE members for your hard work in achieving these results! 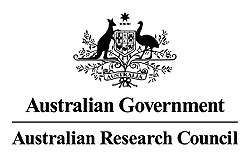 A special thanks to Giovanni Turchini, Graeme Hays, Andrew Bennett and Andy Bennett for their indispensable contributions in preparing our data for submission to the ARC. More on ERA 2015 ratings is available via Deakin Research Stories.